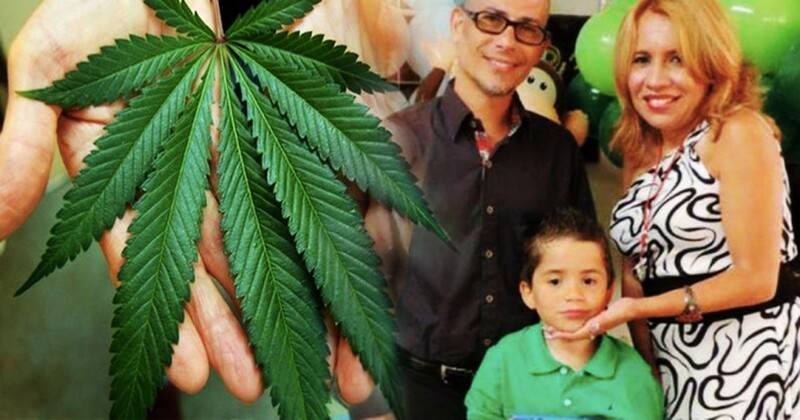 Cannabis Spray Treatment Helps 9-Year-Old-Boy With Severe Autism Say His First Words Ever...This Is Amazing! Cannabis Spray Treatment Helps 9-Year-Old-Boy With Severe Autism Say His First Words Ever…This Is Amazing! Autism is a major challenge for any family to endure. While many pharmaceutical and therapeutic treatments are available to help manage the condition, many families report that they only provide minimal results, if any. And the drugs that do work, do so in exchange for the health and personality of the child. Many of these children are forced to take more than 10 different kinds of medication. Commonly prescribed medications like Ritalin, Focalin and Risperdal are also known to cause facial ticks, seizures and liver damage and a lack of appetite. These drugs are also known to cause behavioral problems and even addiction, causing terrible withdrawal symptoms when children are finally weaned off (1). That’s why more and more parents are moving towards medical marijuana. Kalel Santiago, a 9-year-old Puerto Rican boy with severe autism had yet to speak his first words. That is, until he had been given the compound cannabidiol (CBD) in spray form (2). The young boy had survived cancer in infancy and been diagnosed with autism at the age of three. Along with the condition came seizures so violent and frequent that 8 different prescribed drugs could not keep them under control. Frustrated at the lack of progress in their son’s condition, Kalel’s parent began to research medical marijuana. Since his first treatment, which he now receives twice a day, the results have been astounding. Hundreds of studies have been done on the therapeutic effects of cannabinoids in the treatment of anything from addiction to HIV, Diabetes and schizophrenia. Over 10 reputable studies have been done on the benefits of cannabis treatment for autism alone (3). Charlotte Web’s, a medical marijuana company specializing in products for children, reports many stories of the successful treatment of a large variety of health conditions. Jesse Jame, a 9-year-old autistic child also battling asthma, ADHD, anxiety disorder and epilepsy, gained muscle strength, better immunity, developed fine and gross motor skills, overcame his anxiety and so much more after beginning medical marijuana treatment. Thanks to this daily medicine, he no longer requires a modified curriculum in school and has not suffered a single seizure since he began taking the treatment (4). Another autistic child, 6-year-old Daron, had been receiving speech therapy from school district twice weekly for over a year without much improvement. He also has a lazy eye that could not be medically corrected until adolescence. After just 4 weeks of Cannabis oil, his speech had improved more than the progress he had made in therapy and his vision improved so much that he no longer has to wear his glasses (5). Despite all the recorded cases studies and the clinically proven affects of medical marijuana, the FDA still doesn’t recognize the medicine as being safe or effective. Many families have to continuously fight for access to the life-changing treatment and those that have access are often met with resistance from their medical provider or insurance company (6). Well-run charities and charitable providers, like Rick Simpson, have even come into legal trouble during their efforts to supply free access to their much-needed medication. Meanwhile, pharmaceutical drugs make millions of dollars in profits despite their well-know and debilitating side effects. 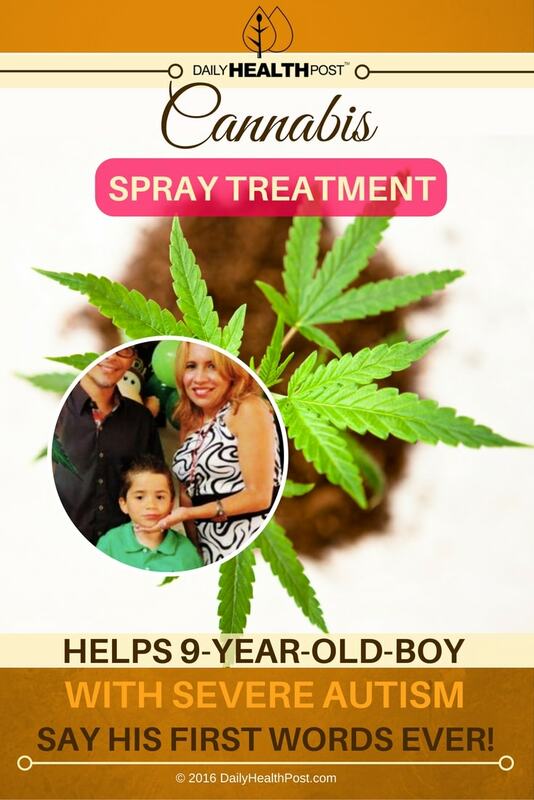 Latest Headlines » Wellness » Cannabis Spray Treatment Helps 9-Year-Old-Boy With Severe Autism Say His First Words Ever…This Is Amazing!